HWASEONG, South Korea — An old Korean proverb about jumping frogs is suddenly finding fresh currency in the executive suites and engineering labs of Hyundai Motor Co.
After pressing pause on years of breakneck expansion to nail quality, restock the product pipeline and streamline production, Hyundai is on the offensive again. Internally, the company’s engineers and executives liken it to an old Korean saying: “Even a frog must rest before the next jump.” And Hyundai’s next leap may be its biggest yet. The rested-and-ready company is simultaneously jumping into three new areas: a full range of eco-cars, from hybrids to EVs to fuel cells; a new subbrand of performance vehicles; and the new Genesis luxury marque nearly built from scratch. The executives leading these initiatives, in interviews with Automotive News, describe today’s Hyundai Motor Group as a mature, waking giant that used its downtime to regroup and is poised to build on its rank as the world’s No. 5 automaker. The trifecta bet underscores the outsized ambition of a company that traces its roots to just 1967, has scant racing heritage and only developed its first proprietary engine in 1991. Indeed, the stakes are high for the entire auto group, including Hyundai and Kia, as the new ventures devour valuable resources at a time when Hyundai Motor is sliding into a fourth year of falling profits. 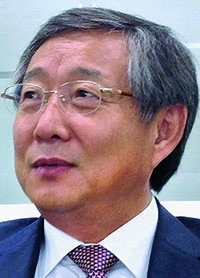 The transformation also adds strain as speculation swirls about the transfer of corporate control from Chung Mong-koo, the Hyundai-Kia group’s 78-year-old patriarch and chairman, to his 45-year-old son, Vice Chairman Chung Eui-sun. Sagging profits are a reason to push into more profitable segments, but also a limitation. Operating income dropped 1.5 percent in 2013, 9.2 percent in 2014, 16 percent in 2015 and was down 7 percent through the first half of this year. Hyundai hasn’t put a figure on the new programs. 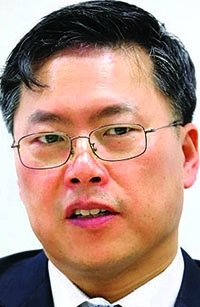 But investments will likely run into the billions of dollars, said James Chao, IHS Automotive’s managing director for the Asia-Pacific region. By any estimate, Hyundai’s sheer number of entries in new segments is dazzling. The global blitz began this year with the launch of the first sedans from Genesis, the flagship G90 and the G80, as well as the debut of the Ioniq line of electrified vehicles meant to wrest the green-car mantle from Japanese rival Toyota Motor Corp. The rollout gathers speed next year with the release of Hyundai’s first N performance vehicle. Then comes a next-generation hydrogen fuel cell vehicle in 2018. Hyundai Motor Group plans to introduce 28 eco-vehicles by 2020 across the Hyundai, Genesis and Kia brands. The expansion will cover 10 traditional hybrids, eight plug-in hybrids, eight electric vehicles and two fuel cell vehicles. During the same time frame, the company also plans to introduce the Genesis G70 sedan, a coupe and two crossovers. And next year, the first entry from the N performance subbrand arrives, a souped-up variant of the next-generation Elantra targeting European customers. Another offering for the U.S. will follow, and then comes a third N for a global audience. That confidence is partly due to the pause that Yang helped orchestrate. Hyundai is jumping into 3 segments with a product assault by 2020. • Eco-cars: 28 new eco-vehicles across the Hyundai, Genesis and Kia brands. The expansion covers 10 traditional hybrids, 8 plug-in hybrids, 8 EVs and 2 fuel cell vehicles. • Performance cars: 3 new entries under the Hyundai brand's fledgling N performance subbrand, starting with an N-badged variant of the redesigned Elantra compact next year. • Luxury cars: 6 new nameplates under the freshly minted Genesis luxury marque, starting with this year's G90 and G80 sedans, and continuing with a smaller G70 sedan next year or in early 2018, then a coupe and 2 crossovers. In 2010, Hyundai was thrown for a loop when Toyota Motor Corp., one of Hyundai’s favorite benchmarks, was reeling from its unintended-acceleration crisis. Hyundai took note. It was nearly chased out of the U.S. in the mid-1990s because its then-lackluster quality repelled customers otherwise won over by low sticker prices. 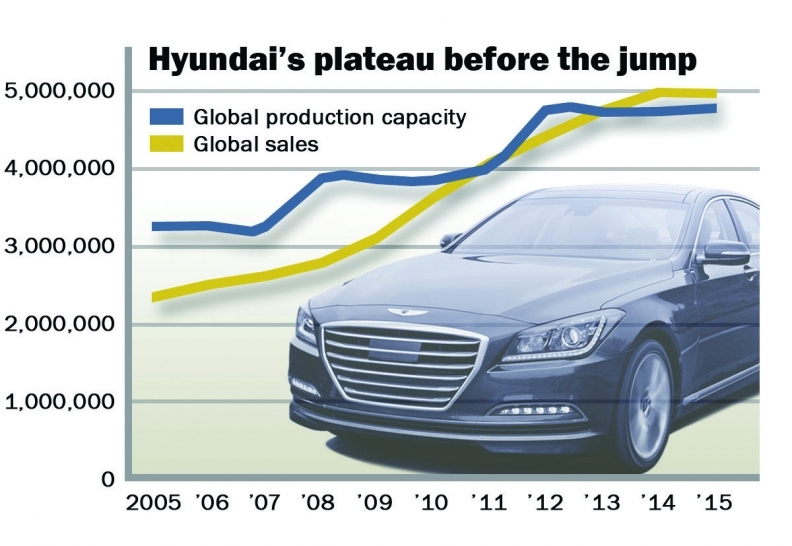 And in 2010, Hyundai was on a worldwide rampage, not unlike Toyota’s surge before its stumble. In just six years, Hyundai’s global sales soared 74 percent to 4.06 million vehicles in 2011 from 2.34 million in 2005. Global production capacity climbed 25 percent to 4.06 million in that time. In fact, at the height of the global financial crisis in 2009, Hyundai was one of the only brands to boost sales and market share in the battered U.S. Wary of the pace, Hyundai began tapping the brakes. Leaders warned against overstretching Hyundai’s r&d resources as it rushed to meet global demand with increasingly diverse and complicated technology. During the pause, new factories were put on hold, engineering operations were strengthened, testing centers were improved and product portfolio holes were plugged. Hyundai also shifted product development away from vehicle-based programs toward more efficient processes based on vehicle groups and component systems. Finally, people problems were addressed. Of particular concern, Yang said, was the “easygoing” work ethos of younger employees. Hyundai’s fix: new mentoring teams that paired veterans with greenhorns. Even as profits declined in recent years, however, Hyundai Motor Co. kept seeding the future with a steadily growing r&d budget. 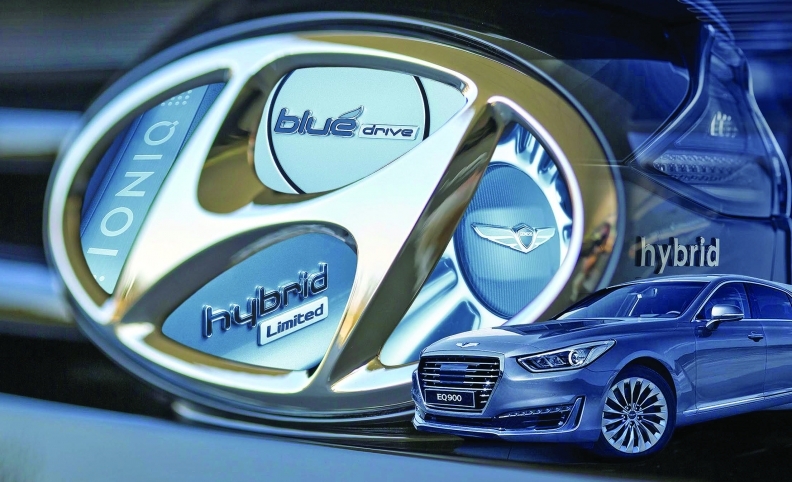 Hyundai attained economies of scale from sharing with Kia new technologies developed at the group’s sprawling Namyang r&d center south of Seoul. But demands have never been higher. Automakers are being pressured to improve not only the feel and finish of their cars. They must meet stringent fuel economy standards with costly new powertrains, all while pouring money into the advanced safety and autonomous driving features customers are starting to demand. At Hyundai, executives say, the panacea rests as much in hard work as bigger budgets. Indeed, employees pride themselves on a frenetic corporate cadence dubbed “Hyundai Speed,” a kind of burn-the-candle-at-both-ends obsession born from playing catch-up to overseas automotive rivals that often boast industrial pedigrees dating back a century. “There’s no hour or day sacred to them. They are incredibly demanding and exacting,” said Ron Harbour, senior partner for global automotive manufacturing at Oliver Wyman. Slipping profits are a big reason the carmaker must now push forward into luxury, performance and alternative powertrains, Harbour said. Hyundai’s best bet may be cracking the eco-car segment, said Karl Brauer, senior director of automotive industry insights at Kelley Blue Book. That is partly because market trends are pushing all carmakers in that direction. And as a Korean company, Hyundai has the advantage of drawing from the country’s expertise in batteries and electronics. Hyundai may also make inroads into performance vehicles. That’s because performance buffs aren’t as hung up on reputation if the specs measure up, Brauer said. Think Mitsubishi or Subaru when it comes to rally cars. The tallest order may be tapping luxury, Brauer said. When it comes to eco-cars, the company is clearly channeling Hyundai Speed. Hyundai launched its first gasoline-electric hybrid only in 2010, more than a decade after rival Toyota brought out the first Prius. Now enter Project Ioniq, a green strategy to reposition the car as a “driving device, not a machine.” Key to the program is a host of new hybrid, plug-in hybrid, all-electric and hydrogen fuel cell vehicles. On many measures, including fuel economy and range, the Ioniq Hybrid and Ioniq Plug-in introduced this year already beat the Prius. Hyundai Motor Group aims to be the No. 2 player, behind Toyota, in electrified cars in four years. Though it hasn’t released a sales target, Lee Ki-sang, senior vice president for the group’s Eco Technology Center, said sales should be more than four times the current volume, implying 2020 sales of around 300,000 vehicles or more. That’s a huge jump from last year. In 2015, Hyundai sold just 42,900 hybrids and plug-in hybrids worldwide. It delivered just 300 fuel cell vehicles and didn’t even offer an EV. Kia moved only 18,735 hybrids. It doesn’t have a plug-in or fuel cell. Its Soul EV tallied sales of 8,450. Hyundai’s frenetic clip is palpable to newcomers such as Manfred Fitzgerald. But when it comes to Genesis, Fitzgerald warns, don’t expect such a bolt from the blocks. Fitzgerald’s challenge is daunting: Take an all-but-unknown marque that was cleaved from the mass-market Hyundai brand only last autumn and raise it onto the global stage with BMW, Mercedes-Benz and Lexus. It was a natural next step, he said. One of Fitzgerald’s first tasks was to devise a brand DNA — something long baked into the identities of rivals from Europe. After six months, Fitzgerald’s team finally isolated a brand persona centered on three traits: being progressive, audacious and distinctly Korean. The reception at home has been strong. In the first six months of the year, Genesis sold 17,000 vehicles in South Korea, exceeding the target of 14,000 for the full year. The total was not too far behind luxury leader BMW, which sold 23,154 vehicles in South Korea through June. But Genesis’ real test will be winning fans overseas, not in brand-loyal South Korea. That’s a key reason one of the most Korean of Korean blue-chip companies increasingly taps foreign talent such as Fitzgerald. Hyundai wants to better target international tastes. It started with poaching Audi design veteran Peter Schreyer in 2006 to head styling at Kia. Schreyer now heads group design, overseeing Kia and Hyundai. 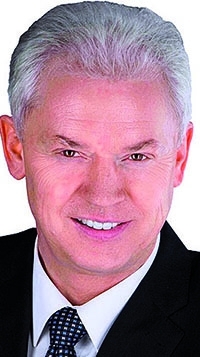 Donckerwolke, who now heads the studios at the Hyundai and Genesis brands. Biermann: "The sound is getting better." Albert Biermann, former head of BMW’s M performance division, was hired to lead Hyundai’s push into performance cars. The German engineer arrived in April 2015 to work some of BMW’s driving dynamics into Hyundai cars long-disparaged for their ho-hum handling. Biermann was immediately put to work fine-tuning the soon-to-launch Genesis G90. But he was also handed responsibility for Hyundai’s fledgling N performance subbrand. The division was formed in 2012 but has mostly just played with prototypes. Under Biermann’s watch the first N production car will be released next year. Biermann is formulating new strategies for torque management, limited-slip differential, electronic stability control, tire development and even engine sound. The breadth and pace of work at the company is “exploding,” he said. N is a big milestone for an automaker from a country that lacks the car culture of Europe, America or even Japan. Indeed, highly restrictive car-modification laws in South Korea long kept a lid on customizing cars with fluorescent spoilers and racing decals, let alone garage-tweaked fuel injection or chopped exhaust. Only in 2014 did Hyundai and Kia tiptoe into relatively tame aftermarket merchandizing of such items as accented fuel tank lids. But there are signs of awakening there, too. One day, a senior Korean engineer ran up to Biermann, flashing him a YouTube snippet on his smartphone. With a twinkle in his eye, he trembled with excitement and tapped play. There is no more satisfying proof of the shift, he said, than the vroom of screaming engines at the proving ground’s high-speed oval just outside his corner office at Namyang. “The sound is getting better and better,” Biermann said. “It happens more and more often, that I look out there and say, ‘What was that! ?’” he said.